Jakarta. Indonesia’s plans to mediate between feuding Iran and Saudi Arabia will be the Joko Widodo administration’s first test in engaging in multilateral issues, political experts said on Thursday. As the world’s biggest Muslim-majority country, the archipelago is in a strategic position to resolve tension in the Middle East, they added. Saudi Arabia shocked the world last Saturday when the Sunni-majority kingdom announced it had executed 47 prisoners comprised of convicted terrorists and four Shiite Muslims. Among the latter was Sheikh Nimr al-Nimr, a prominent cleric from the nation’s minority Shiite community who had for years loudly advocated for equal rights for his fellow worshipers. 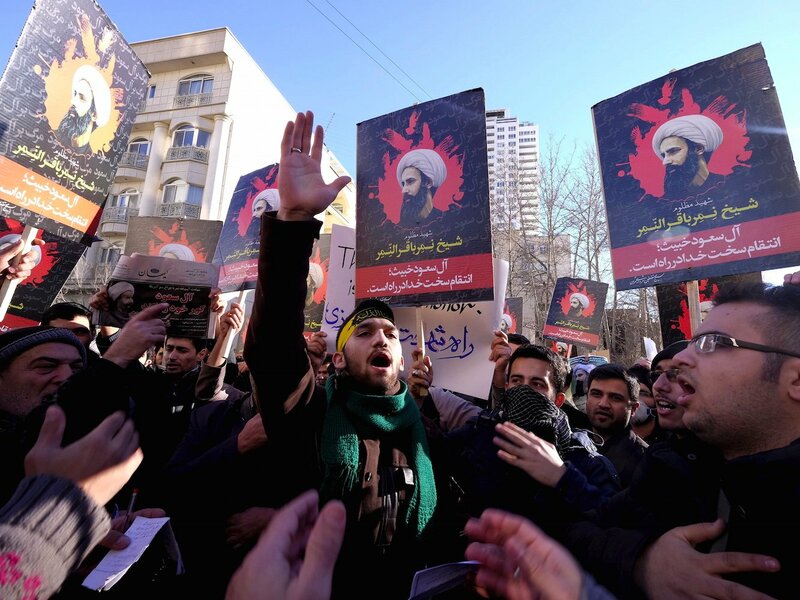 Two days later, angry demonstrators in the Iranian capital of Tehran stormed the Saudi embassy, ransacking the building and setting it on fire. Saudi Arabia cut all political ties with Iran in response, prompting fellow Sunni-majority Bahrain and Sudan to follow suit. Indonesia’s Religious Affairs Minister Lukman Hakim Saifuddin said on Tuesday that the country is trying to stage an international conference to bring the two sides together following a call from the Indonesian Council of Ulema (MUI), one of the most influential Muslim groups in the country.Hikmahanto Juwono, an international relations expert from the University of Indonesia, urged Joko’s government to utilize this chance to step in after a long hiatus from high-profile international mediation. “Indonesia could be seen as strategic mediator because we are not in the Middle East … and both Iran and Saudi Arabia would believe that Indonesia is neutral,” Hikmahanto told the Jakarta Globe, arguing that Indonesia has yet shown significant involvement addressing international issues during Joko’s period. As the world’s biggest democratic Muslim-majority country, Indonesia has the chance to promote a more positive image of Islam, Hikmahanto said. The president must explain this priority to the public, he added. “It could be a good message to promote a peaceful and non-violent Islam to the world,” he said. Tia Mariatul Kibtiah, an expert on the Middle East from Bina Nusantara University, said the current Iran-Saudi struggle wasn’t the first Sunni-Shiite incident on which Indonesia was asked to mediate. The Organization of Islamic Cooperation (OIC) had also called on the archipelago to help settle a brewing conflict Yemen last year. “During this time, our international policy mainly focused on investment and economy-oriented cooperation. As the world’s biggest Muslim country, I think we need to do more with this Iran-Saudi conflict,” Tia told the Jakarta Globe. However, she reminded Jakarta to remain both wise and neutral while taking diplomatic steps to resolve growing tensions in the Middle East. Hikmahanto, meanwhile, suggested the government appoint a special envoy for Iran and Saudi to intensify the mediation processes in its efforts to conduct shuttle diplomacy. “We need someone who understands Middle Eastern history and can be trusted by both sides,” he explained. The conflict has escalated into a geopolitical conflict with sectarian dimensions in one of the world’s most volatile regions. Bahrain, Sudan, the United Arab Emirates, Kuwait, Qatar, Jordan, Djibouti and Turkey last weekend recalled ambassadors from Iran in response to the attacks on Saudi diplomatic missions.